Chapter 9. Finally, arrived at the school! That cheeky Alisa~ Also, it’s exam season so please bear with the pace for now. Enjoy! “To be frank, you were a very selfish person. Furthermore, with that short temper you were also quick to be violent. One could only be amazed at how unreasonable you could be. I also felt that doing whatever it took to get your hands on the things you wanted was horrible. If nothing else because you would use the Master’s own name without reservation. Honestly, it was to the point that I had regretted coming to work here in the first place. Upon noticing Lilia’s expression turn pale Alisa inquired tilting her head slightly to one side. Lilia’s face was cramped as she shook her head. Saying so Alisa continued her critical criticism combo. It went to the point where rather than anger Lilia felt more like she would simply start crying. She had received similar scoldings from Sakura before, but once again, and having it said straight to her face, it was certainly something hard to endure. Alisa paused her words there. Looking at Lilia’s lifeless eyes, for some reason Alisa smiled. Kind. Who’s kind. Even Lilia herself was of a different opinion. To Lilia, something like kindness was only seen as a tool in getting people to lower their guard. Such thinking hasn’t changed even now, so if Alisa’s words were regarding the current Lilia, that was simply a result of following Sakura’s instructions. Thinking it couldn’t be helped, she felt just a little despondent. However, Lilia tilted her head upon hearing Alisa’s next words. When Alisa saw Lilia frown dubiously, she explained with a wry smile. —Really. Please expect such things. Though not quite satisfied with the explanation, Lilia continued to listen to Alisa’s story. —Uh, Lilia. Her being executed there would be ridiculous right? —Is the one in front of you right now a ghost or something? Is this nice story really a horror? Perhaps finally comprehending what Sakura was trying to say, Lilia went ‘I see’ and nodded in understanding. Sakura wondered if it was really okay and was worrying about something, but for now Lilia turned her attention towards Alisa. Alisa narrowed her eyes as if recollecting some nostalgic memories, and then let out a giggle. —I’m not quite sure if I have such memories or not… Though at least, I don’t think my feelings back then were of pure good will. —Well… Alisa probably knows that by now as well. That’s why, earlier, I think she was trying to convey that she believes in you despite that. Besides. Sakura stopped her words. It felt like she was somehow looking at Alisa. Alisa was gazing over with an earnest expression, seemingly waiting for Lilia to speak. —To Alisa, the fact that she was saved won’t change, so isn’t it fine regardless. That way it’s a convenient interpretation for everyone, right? —Is that how it is? Alisa confidently declared so. 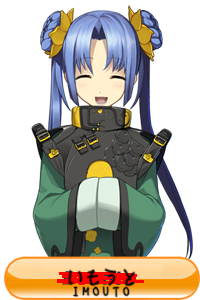 Lilia was dumbfounded for a while, but before long, without quite noticing it herself her expression turned into a smile. Alisa bowed deeply, and Lilia nodded in satisfaction. The dormitory was the largest building on the academy grounds. Since all the students in the school lived there, you could say it was a matter of course. The dormitory stood three stories tall, with the first housing things like the cafeteria and shops, with all the common necessities prepared. Upon entering the grand entrance hall, tables, chairs and such are prepared all around as well, creating an oasis for the students. Lined up on the second level were the rooms for commoners, merchants, and lower ranking nobles, and the upper nobles had their rooms on the third floor. Lilia and Alisa entered the dorms through the great entryway. There would be a mass of students bustling around the building before and after class time, but right now as lunch had just gone by and the afternoon classes had already begun it was quiet and empty. The entrance was devoid of people, and only the sound of Lilia and Alisa’s footsteps resounded through the building. At the very back of the entrance hall was a spiral staircase, and as Lilia took her first step up Alisa opened her mouth. ‘To ask again now,’ thought Lilia as she looked back at the maid. Alisa’s eyes were wavering uneasily. Jaon-chi! Can I ask you a favor? Ah, nvm, I saw your conversation with Este. Pochamani huh… I’ll find some time to read it soon, but could you fill me in on the details regarding the project? I might not mind helping out if I end up liking the series. I’m looking for translators for Home of Himescans since the one she’s working with is unreliable. It’s a shoujo manga where the female lead is overweight and the male lead is a chubby chaser. I know how that sounds, but it’s actually really good. It’s not about weight loss either I can’t tell you more due to spoilers but I will tell you that Mugi-chan is beautifully adorable. Since oniiyamete translates things with interesting female leads I thought this manga would be in your wheelhouse. Ah, it seems like she managed to get someone after all. Well, I suppose if this doesn’t work out as well give me another call, I wouldn’t mind helping since the series seems pretty easy to translate. Thanks for this Jaon-chi! I suppose it has been a a couple months since I was last in contact with Hime. Well anyway. As a reward I shall write you a shoujo ai story. Any requests? Put in some nice imouto x oneesama action for me will ya, can’t get enough of that stuff. Hmm…okay but I’m blaming you if Imouto-san gets mad at me~💙! Lol i can already see all the arrows stabbing her in a manga. Also, im curious how she will fix her situation. With angel power of course! But her school situation should still be in chaos with rumors and stories flying all over about her. Alisa is on a roll! Alisa is encouraging Lilia to get up. Oh!!! Alisa is up. Oops! I meant Lilia in the last line. What a combo, a true warrior! Forgot to say thanks. Thank you for the chapter! Alisa was rash, but even Lilia thought that she deserved it, so it’s okay. And, of course, Lilia doesn’t see any problem with keeping Alisa around, even though she is just a maid. So cute sometimes I have to take a moment and calm down. O.o Oh that is unfortunate. I can understand since the colours don’t contrast that much. I suppose the effect to you would be no different than normal black text all around. I do hope will still be able to determine the speaker from the context. Will it ever come a time when Lilia will trully be kind. Ah…but I’m rooting for her anyway! Thanks for the chapter Jaon-chi. BTW The war I was expecting was stopped by the Beast Princess and The queen of the human country. How they stopped it was…tch! Thanks for the chapter! Please feel free to work at whatever pace is the least stressful for you. Man, though, Lilia got DESTROYED. She deserved it, but oooooo. I also like the realism of a wilful little girl being so particular she inadvertently saved someone’s life; it explains why Alisa would stick it out so valiantly until Lilia got accustomed to common kindness, and feels like a tenuous but meaningful connection of true loyalty. I’m reminded of Good Sense For A Duke’s Daughter, here, actually, where the main character just…arbitrarily had this collection of beautiful, loyal, and good people pre-packaged because of her obvious kindness, and all of them trust her implicitly. It feels a bit cheap, and implies the main character has no need for character development because she’s already perfect, and in fact doesn’t really change all that much from gaining memories, which in turn means the vast majority of the story’s quality is dependent on how good the story is at being Fantasy Economics Simulator. I love fantasy economics more than breathing, so it’s well enough for me, but it’s an interesting contrast in each story’s priorities. Can’t wait until the students start showing up…the character development focus is GREAT in this, but the anticipation is mounting like crazy. Them being in the school while growing their bonds and developing Alisa as a character is like the cruellest kind of foreplay. Exam season is like flu season, but much painfuller~ Ooh, and Lilia and Alisa are getting along quite well. When will the master-servant flag evolve into full romance??! thank you for the chapter ⊙﹏⊙ good luck for your tests! So hey, I doubt this is gonna reach you, but I found something I thought you might like. I know you like misunderstanding stuff like Evil God and Tilea’s Worries, but I also know that you aren’t one for Fan Fictions. This one isn’t as in depth as the SAO and Zero one which goes way into the politics and stuff like that, but it’s good quality. It’s about a guy who gets taken to another world by a god to train the children who are meant to be the Main Characters, but he has basically no talent or power. The only thing he has is a robe that hides his power, but gives people the misunderstanding that he has ungodly power, as they can’t sense it. It’s a xianxia thing, not sure how you feel about those, but give it a try if you feel like it. It’s called The Unqualified Mentor of Main Characters, if you read it feel free to give me your opinion on it. That’s true, but I was too lazy, maybe later. You know, in ancient Rome, the more wealthy people lived on the lower floors, and the poor had to climb all those stairs. It is only after e advent of the elevator that the penthouse mentality really took hold.